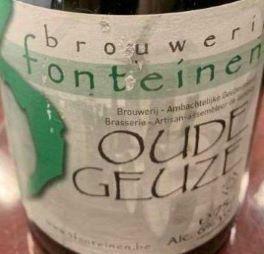 For sale is one bottle of 2003 Drie Fonteinen Oude Geuze. Bottled on 02/22/03. The bottle has been kept properly in my cellar since its original purchase. Shipping: Shipping to the lower 48 states only. No P.O. Boxes. I ship via FedEx only. I will contact buyer after purchase to verify shipping address and ensure a smooth transaction. Payment: Payment via PayPal as Goods/Services option only! Feel free to contact me about any questions/offers. Also feel free to look at the other items I have for sale.